Community development districts (CDDs) are independent special-purpose units of government established to finance basic services within a development, including infrastructure construction, services and maintenance. Developers seek CDD approval to obtain low-cost financing by issuing tax-exempt bonds, with lower interest rates. CDDs also have the power to collect fees, levy lienable assessments or ad valorem taxes against properties within the project for repayment. CDDs are required to have a five-member board of supervisors, elected by the landowners. Below is the "official" definition from Florida statute 190.003. "Community development district" means a local unit of special-purpose government which is created pursuant to this act and limited to the performance of those specialized functions authorized by this act; the boundaries of which are contained wholly within a single county; the governing head of which is a body created, organized, and constituted and authorized to function specifically as prescribed in this act for the delivery of urban community development services; and the formation, powers, governing body, operation, duration, accountability, requirements for disclosure, and termination of which are as required by general law“. There are many CDDs in Hillsborough County. 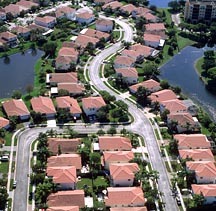 Many of the newer housing developments have CDDs. Most of the CDDs charge the homeowners with a fee or ad valorem tax which is paid yearly, usually with your real estate property tax bill. CDD fees or taxes should not be confused with homeowner association dues. CDD fees or taxes are levied in addition to homeowner's association dues. If you would like to perform your own search, go to http://www.floridaspecialdistricts.org/OfficialList/. You will find information on creating your own report of Special Districts, which include community development districts. What Advantages Are There To Living In The District? 1. The District provides landowners with consistently high levels of public facilities and services managed and financed through self-imposed fees and assessments. 2. The District will own, operate and maintain the Community Club. 3. The District helps ensure that community facilities are completed as required by the Development Order imposed upon the property. 4. District residents will ultimately choose the Board of Supervisors and through these representatives will be able to determine the type, quality and expense of future District facilities and services. Do I Pay More Taxes Or Assessments If I Live In A CDD? 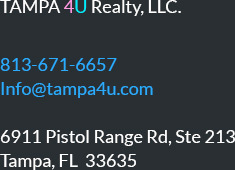 Yes, in a sense, but your real estate taxes, including CDD assessments, will not be materially different than those of homeowners in similarly amenitized communities in the greater Tampa Bay area. In addition to service charges and taxes which will be collected by the county, city, or school board, landowners will also pay non-ad valorem special assessments for the capital costs, operation and maintenance of District facilities and services. While not taxes, the District's assessments will appear on your tax bill prepared annually by the Hillsborough County Tax Collector's Office.